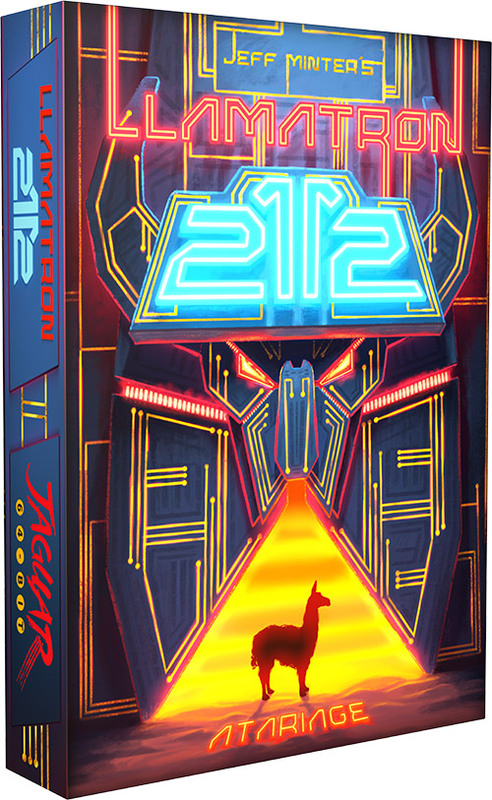 Jeff Minter Classics was created for the Atari Jaguar by fans who have enjoyed Jeff Minter's games for many years on various platforms, including, of course, Tempest 2000 on the Jaguar. Llamatron 2112 and Revenge of the Mutant Camels were released by Jeff Minter on the Atari ST computer platform, and these versions were expertly brought over to the Atari Jaguar by Lawrence Staveley, creator of Rebooteroids and the RAPTOR development API. Artist William Thorup created breathtaking artwork for Jeff Minter Classics, with unique pieces created for both Llamatron 2112 and Revenge of the Mutant Camels. 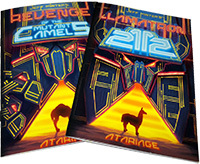 William Thorup is a big enthsiast of the Atari Jaguar, Lynx and Atari ST computers, and in 2016 created several original works featuring these systems as part of his Atari Propaganda Series. The box for Jeff Minter Classics is double-sided, featuring Llamatron 2112 on one side and Revenge of the Mutant Camels on the other. The manual was also created in this fashion, with the instructions for each game on opposite sides. And we're also including a double-sided poster with Jeff Minter Classics, with the artwork for each game displayed on opposite sides of the poster. The Earth is under attack!! The disgusting green Slimelords of the planet Xtharrgg have unleased heavily-armed space battle fleets against the Earth for no apparent reason!! Luckily, we just happen to have a few of the very latest Vortron Hyper X-13 UltraStarfighters handy, but there's one problem... only one pilot is good enough to fly them... and that's you! You must go into battle against the Slimelords, piloting the X-13 over incredibly realistic abstract geometric grids! Can you vanquish the threat of the disgusting Slimelords and restore peace and prosperity to the galaxy? The fate of the Universe is in your hands! In celebration of Jeff Minter's announcement of a Playstation 4 port of Gridrunner, we're excited to reveal that we've hidden a copy of the classic Gridrunner inside Jeff Minter Classics! Once you unlock Gridrunner (as described in the video below), it will be available as a choice in the menu when the cartridge boots up, so you only need to unlock it once. William Thorup's stunning artwork for the Jeff Minter Classics project is featured on a double-sided poster included free with the game! 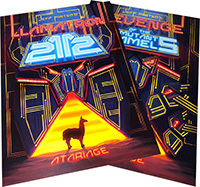 Like the box, one side displays the artwork for Llamatron: 2112, and the other side features Revenge of the Mutant Camels. 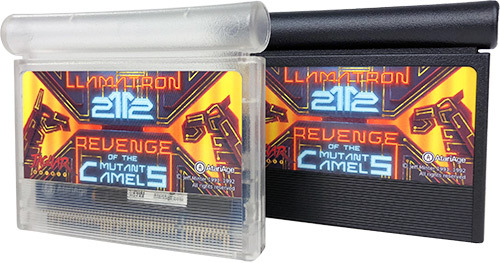 The standard Jeff Minter Classics' cartridge is dark gray, but you can upgrade your cart to a clear shell for $5. To do so, select the "Clear Cartridge" option at the top of the page. 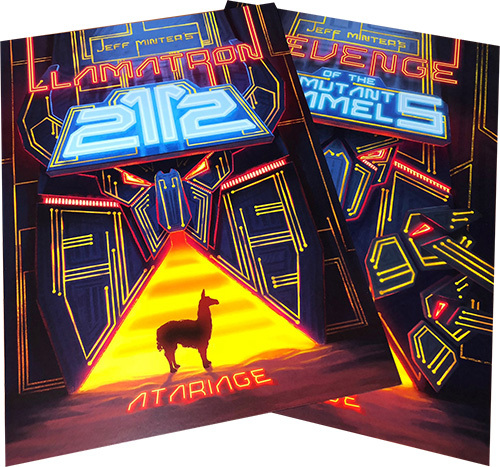 Jeff Minter Classics includes a professionally printed, full-color box, a 16-page color manual, game cartridge, and double-sided poster featuring the beautiful artwork created for the Llamatron 2112 and Revenge of the Mutant Camels. When I first saw this on the store I almost spat out a lung! Jeff Minter is my all time favourite video game designer. The man is a hands down legend. The package is extremely polished and is my favourite box in my ever growing Jag collection. 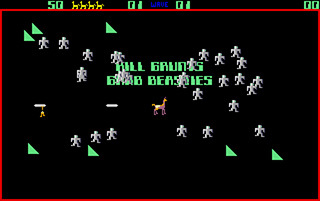 So to the games- I grew up playing these Llamasoft gems and its been a good few decades since I last played them. I fired up Llamatron and ended up spending a few hours on it. My 9 year old son wanted in on two player action and it was even better. 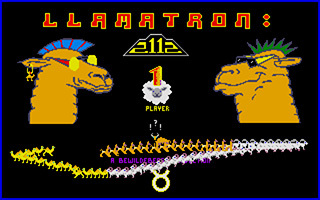 For me it's actually better than the original Robotron. 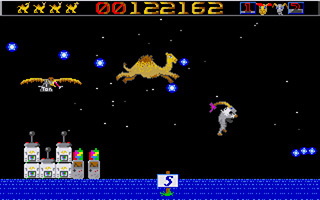 To Revenge of the Mutant Camels- what a beautifully bonkers game! Modern gamers really haven't experienced anything like this. It's a side scrolling shooter that can again be played with one or two players and it's superb. To give any more away about what you will encounter when you playfor the first time would be ruining a uniquely bizarre experience. Enjoy. But what's this? 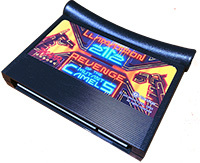 Those sneaky sneakers at AtariAge hid Gridrunner in the cartridge too! Released to the world on April 1 2018, you can unlock the game and it will remain on your title screen forever! So there we go three 80s classics on one beautiful cart. Is it worth the asking price- more than a dozen Call of Duty games YES! 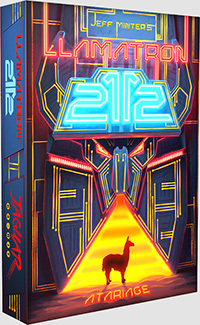 Please, please, please make a Vol 2. 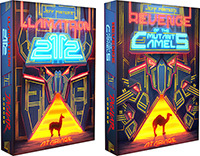 These Jeff Minter Classics; Llamatron and Revenge of the Mutant Camels, come packed to play with an amazing presentation. 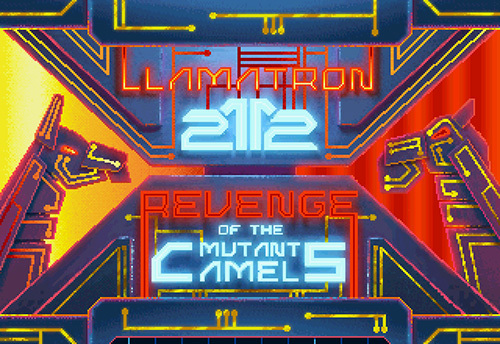 In my personal opinion, while Llamatron is a fun Minter-style version of Robotron: 2084, Revenge of the Mutant Camels is where this release shines. 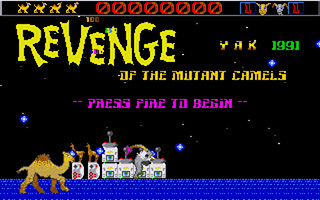 Revenge is a fun-to-play scrolling shooter with interesting power-ups, it's definitely a bit bizarre and it'll fit right in if you're looking to round out your quirky Jaguar collection.